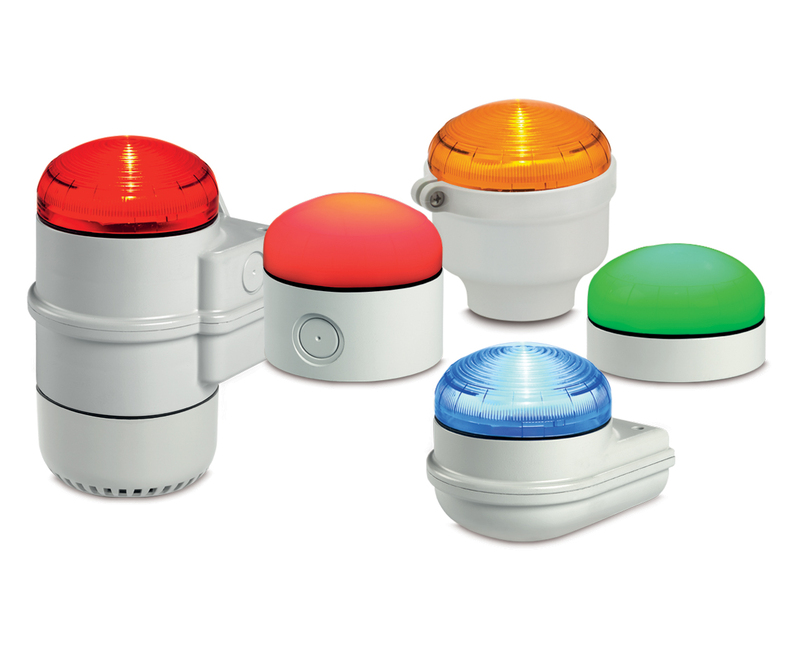 Models SLM300 and SLM350 offer a multifunctional LED beacon with high optical performance. 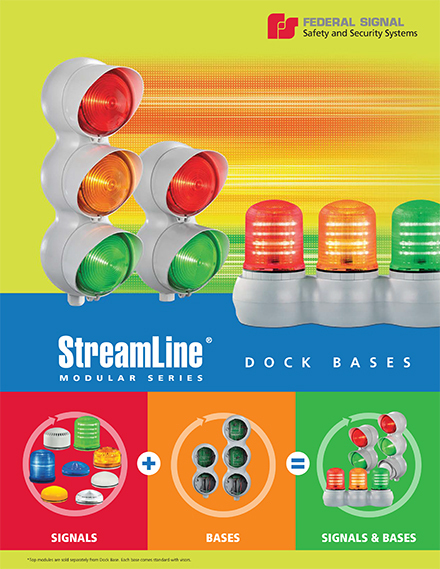 Developed with a multiple input technology, these models offer three separate light effects (steady, flashing or simulated strobe) controllable via independent electric contacts. The steady light option offers a consistent light source. The flashing mode consists of a single-flash strobe effect, while the simulated strobe effect is a 5x flash. Model SLM300 includes an opaque lens for signaling in close proximities. Model SLM350 includes a fresnel lens for long distance signaling. The body material is a self extinguishing polycarbonate material with high impact and UV resistance suitable for outdoor applications.